People size you up in seconds, and what they’re evaluating about you can help reframe the problem of turning more of your website visitors into customers. If someone you’re trying to influence doesn’t trust you, you’re not going to get very far; in fact, you might even elicit suspicion because you come across as manipulative. If you treat your website like your top salesperson, PR maven and money maker, then your website needs to answer these two questions too. Think about it for a second: people don’t buy or sign up from websites that doesn’t look trustworthy or respectable. People DO judge websites by their cover. And they do within a few seconds. It takes 2.6 seconds for a website visitor to make a first impression about your website. That’s why trust and respect are at the heart of increasing your website’s conversion. It’s the “why” behind the conversion uplifts we’ve seen in the past. Let’s play a little game to see this idea in action. Back in 2007, Obama was running for the nomination and trailing by double digits in the polls. Dan Siroker, the director of analytics for Obama’s campaign, went to work on their website to help raise funds for his campaign. In this article, he described how one such experiment resulted in over 40.6% conversion uplift and over $60 million raised. Ask yourself this question, which one feels more trustworthy between the original homepage (with the image of Obama at a campaign rally) and the variation (with the image of Obama with his family)? In the original version, Obama is looking away. Studies have shown that it’s a myth that people who don’t make eye contact are liars. But, as I mentioned earlier, people DO judge books by its cover. I believe the second image with Obama looking directly at the viewer builds a better connection and communicates trust better. In the winning version, Obama is with his family. This is a very subtle message that he’s like all Americans – a family man with two young kids and a loving one Also, look at how Obama’s children and wife are positioned. They’re embracing, being cradled and leaning towards him. The message here is if they trust him, you should too. The headline for the winning version hits a nerve with people. Simon Sinek wrote and gave talks about why people needs to start with the “why” before the “what” when trying to influence behaviour or change. 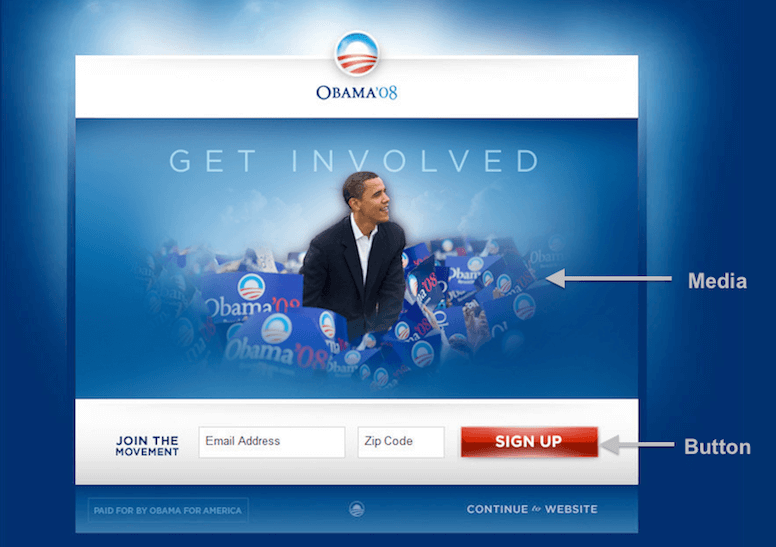 The original headline “Get Involved” is the action once someone believes the “why” behind Obama’s campaign. 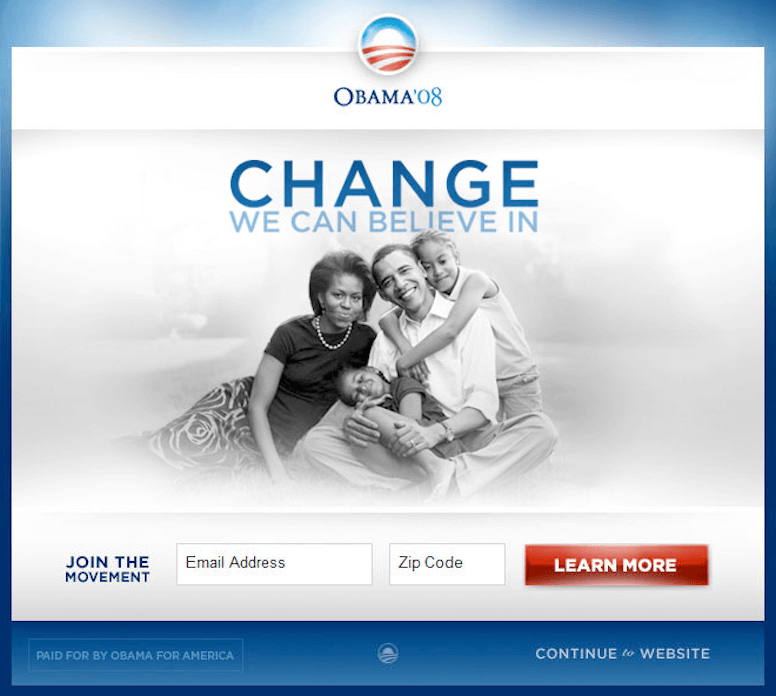 The winning version focuses on the “why” of Obama’s campaign, which is that we believe in change. The call-to-action button has been changed from “Sign Up” to “Learn More.” “Sign Up” feels like I’m signing up for a service or product. I don’t want to sign up for this movement. I want to learn more about it. I’m giving my email address and zip code to learn more about Obama and his campaign. What do you think? Do you agree with me? I’d like to hear your thoughts in the comment section below. Here’s another one from this CrazyEgg post. Highrise, a simple lead management platform from the team at 37 Signals, achieved a 102.5% increase in sign ups just by using a smiling person in their homepage. Which one of these variations seems more trustworthy? The winning variation starts off with a testimonial. Testimonials build trust. Whether your customers are raving about what your product has done for them or about the great service you gave, they’re telling your visitors first and foremost that they had a positive experience with your products and company. The image of the smiling person supports the positive testimonial. The message here is that this person is happy and smiling because she is a Highrise user. You could be happy with Highrise too. The call-to-action text in the original design is “See Plans and Pricing” versus “Startup Using Highrise today” in the winning variation. Your website shouldn’t put barriers to building trust. By directing them to the plans and pricing, this adds an extra layer of questions: How much does it cost? How complex are the plans? 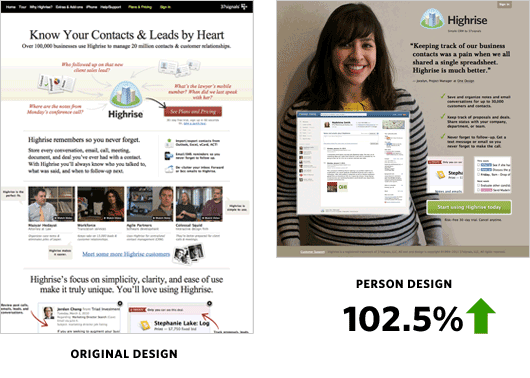 Here’s a final example from Visual Website Optimizer’s blog. 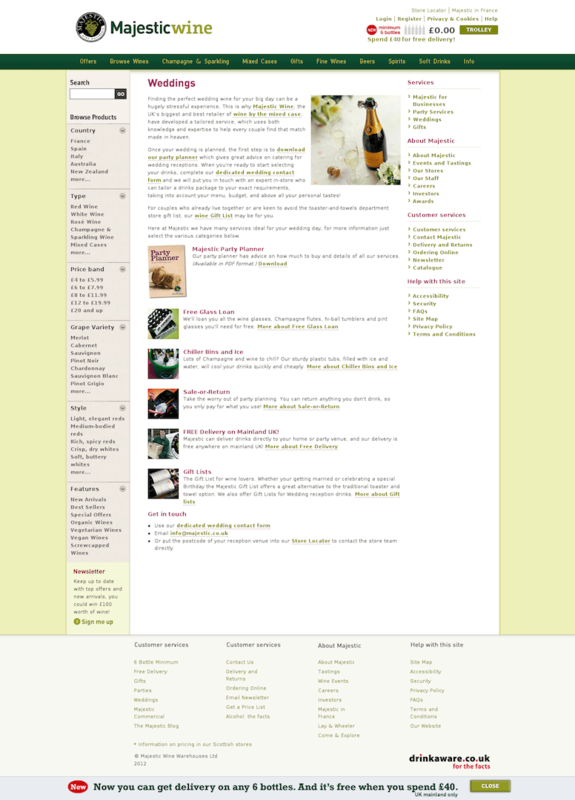 See which version of Majestic Wine’s website seems more trustworthy. The heading now emphasizes the value proposition. The increased size of the sub – headings as well as their approach of telling the users “what’s in it for them?” also seems to have resonated well with the target audience of the company. The clear call to actions and their right placement in the beginning, middle and the end of the page again makes it easy for people to reach the enquiry page without having to look for it. Sometimes videos speaks louder than images. This is the case here. 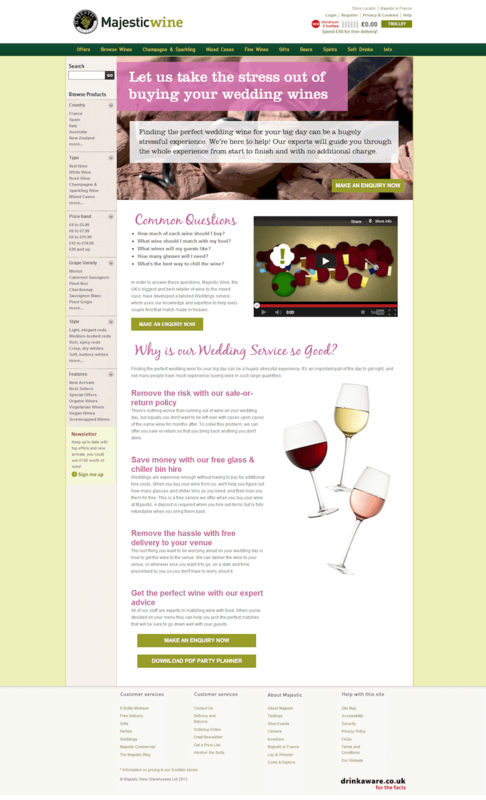 By adding an interactive video, Majestic Wine was able to elaborate on their services. Does your headings focus on the pain/need/curiosity/motivation of your target customers? Do you have testimonials that you can highlight on your homepage? 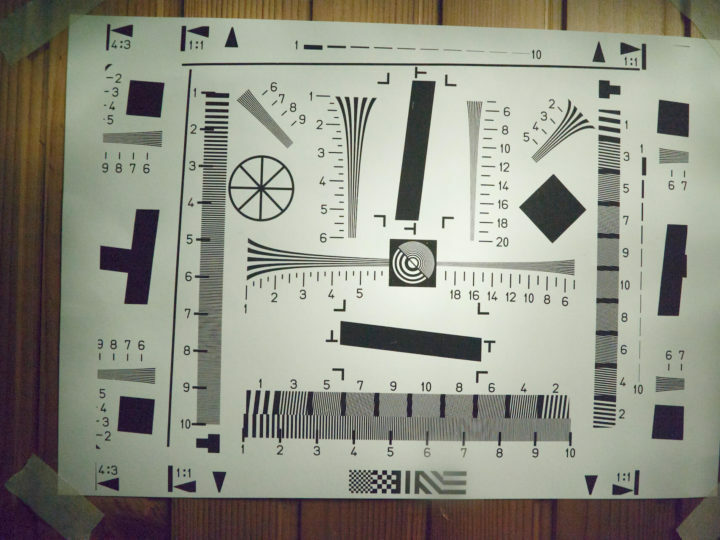 Do the images and videos on your website increase the trustworthiness of your website? Get honest feedback from your target customers about your website. A buddy of mine has this inexpensive service to help you get brutally honest feedback from ten of your target customers userinputs.io (full disclosure: I’m an affiliate partner). Building trust online is more of an art than science. That’s why you should test, test, test. Experiment on different design, images and headings. Want more detailed and in-depth guides on conversion optimization and growth? Subscribe to my mailing list. I only write at most 1 blog post per week to make it REALLY good. With the infrequency of my posts, you will likely miss them unless you join my newsletter. You can unsubscribe anytime with one click. Click here to subscribe. Need help with your conversion rates, growth or your product? 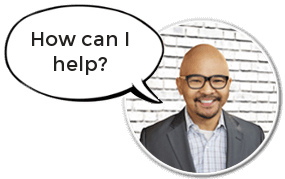 Schedule a free 30-minute call with me. No catch. No sales pitch. Just one entrepreneur and marketer helping another.